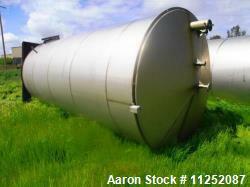 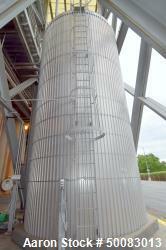 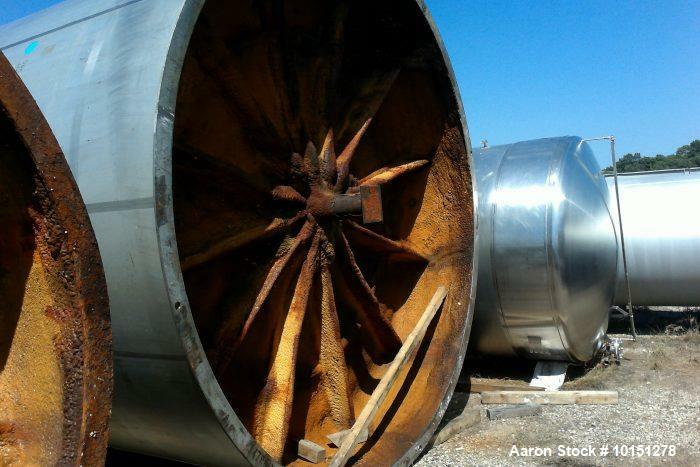 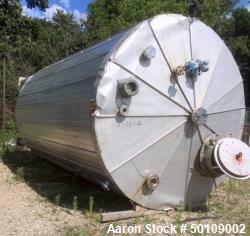 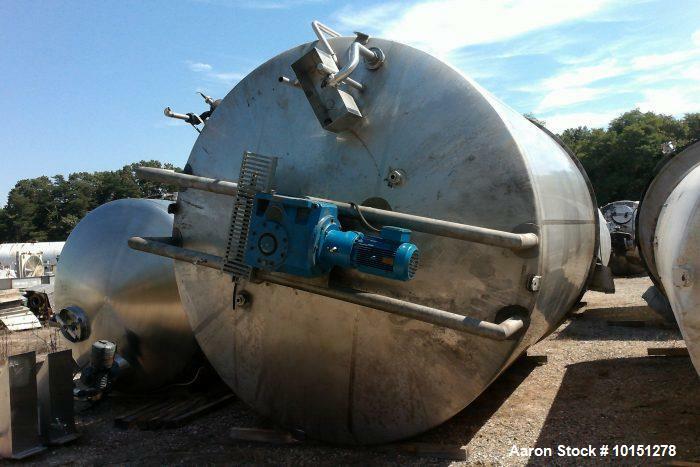 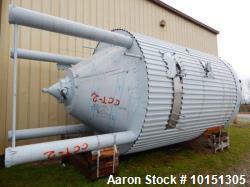 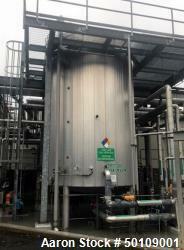 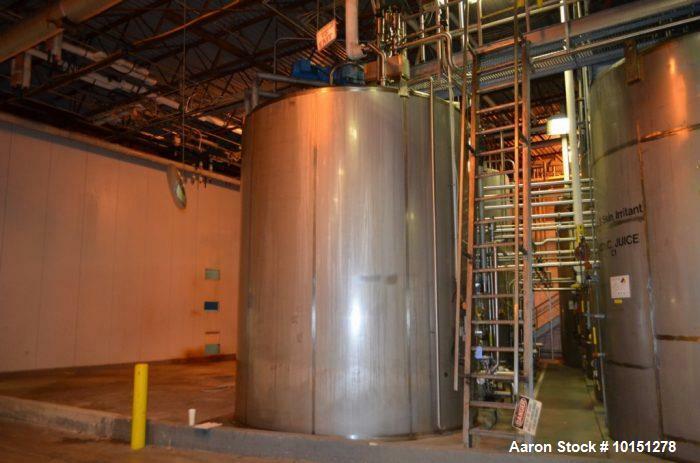 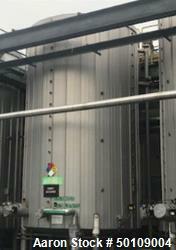 Used- Approximately 9,110 Gallon Vertical Jacketed Stainless Steel Tank. 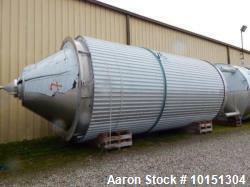 Manufacturer: Mueller. 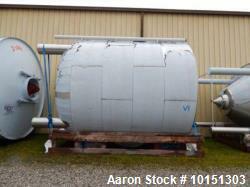 Jacket rated at 150 psi at 100°F. 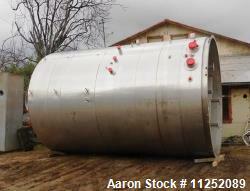 Dimensions: 12’ diameter x 14’ straight side. 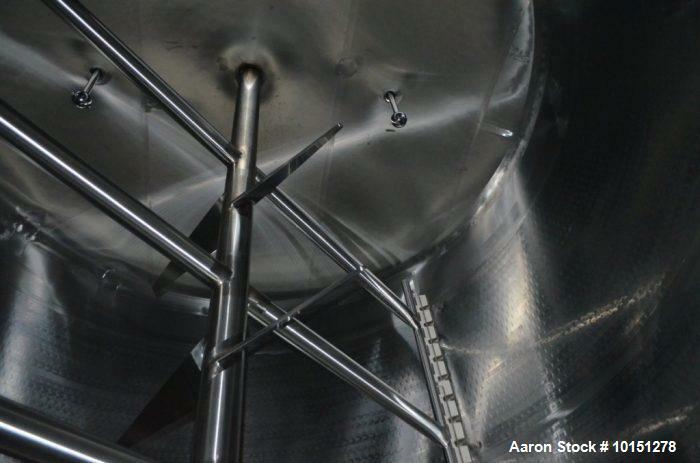 Top mounted agitator with side scraper. 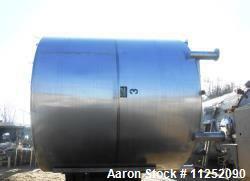 10 hp motor spray ball 20” side bottom manway. 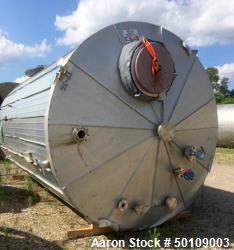 4” side bottom discharge.